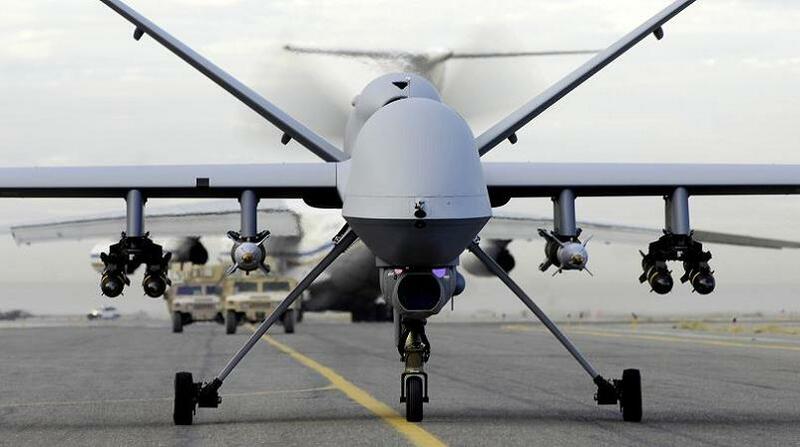 The MQ-9 Reaper, aka Predator-B. 14 hours endurance with a full munitions load, 42 hours with two external fuel tanks and a 1000-pound munitions load. Remotely-piloted from an in-theater ground station, but mostly via satellite from Creech AFB in Indian Springs, Nevada. Cheaper than a piloted attack aircraft, without the risk of life to a pilot. If you can get past the moral question of risk-free remote-control killing, it's an excellent application of technology.